Born from the rich & unique culture of New Orleans, our great city, New Orleans Fish House has been a staple of quality & integrity on the Gulf coast. Since our birth in 1990, the company has always provided only the highest standards in seafood the Gulf offers, and other amazing species from around the world. We aggressively purchase products daily to ensure that we can steadfastly offer our customers a variety of seafood. As our company has grown from the small seafood house it once was, to the large corporation we are now, we have continued our passion to satisfy our customers’ needs. Today, New Orleans Fish House has become a “one-stop shop”, carrying a wide array of specialty items as well; from hors d’oeuvres to demi-glace, soups & desserts, to pastas, & breads. If chefs were considered the artists, we would be the paint & canvas to produce their masterpieces. However, we did not stop there; in 2013 we launched our meat line as well. Amazing 100% grass fed beef, lamb, and grain fed veal products that are sure to please any pallet. 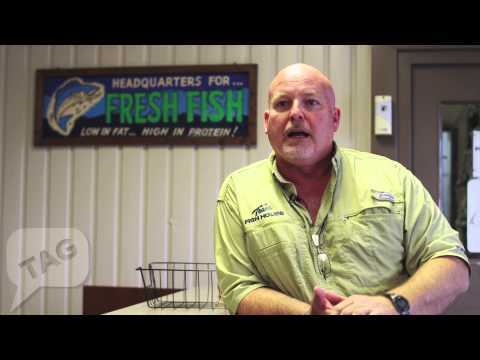 New Orleans Fish House is large enough to use our buying power to cover any request, yet we remain family owned & operated for that genuine, personal service. We hold ourselves to the highest standards, because we know that is what our customers demand. Our owners, Bill Borges, Brett Borges & Cliff Hall, know the importance our company holds in the local and gulf coast communities, and that’s why we have always developed & implemented home grown business ideas to service those areas. We have been there, side by side, with our people through many disasters from hurricane Katrina to the BP oil spill, yet we remain strong and confident, because that is what our customers deserve. Our team of, knowledgeable and reliable, sales people have a combined tenure of over 100 years of experience. They are highly aggressive and ready to meet any prospect’s needs. As a company, we have had, and still hold, many relationships with various types of clients; from every day restaurant owners to national grocery chains, we can handle it all. New Orleans Fish House has always been well known for our top notch quality & service, as well as for our seafood from all over the country, and we will forever continue our relentless pursuit of high standards and customer satisfaction.